After eight thousand years of standing between the Seven Kingdoms of Westeros and the lands beyond, the inevitable has finally happened - the Wall has been breached: Mounted on the reanimated corpse of Daenerys Targaryen's dragon Viserion, the Night King has blasted through the ancient fortification and obliterated the castle of Eastwatch-by-the-Sea. The army of the dead, now numbering over 100,000 wights as well as the White Walkers, is heading straight towards the North, bringing a winter that will become another Long Night, one which may last forever. Unfortunately, the political and military strife within the Seven Kingdoms is not yet over. Though the War of the Five Kings is long ended, control of the Iron Throne is still being contested. In King's Landing, despite having proven herself a less than ideal ruler, Queen Cersei Lannister is determined to stay on the Iron Throne at any cost. Allying herself with Euron Greyjoy and Randyll Tarly, Cersei's armies won several victories against the invading forces of Daenerys Targaryen, and have sacked the Tyrell stronghold of Highgarden in order to pay off the crown's debts to the Iron Bank of Braavos. Despite the larger threat to the realm, Cersei is content with allowing the army of the dead to devastate the North in order to rid her of her enemies before focusing on the threat herself. 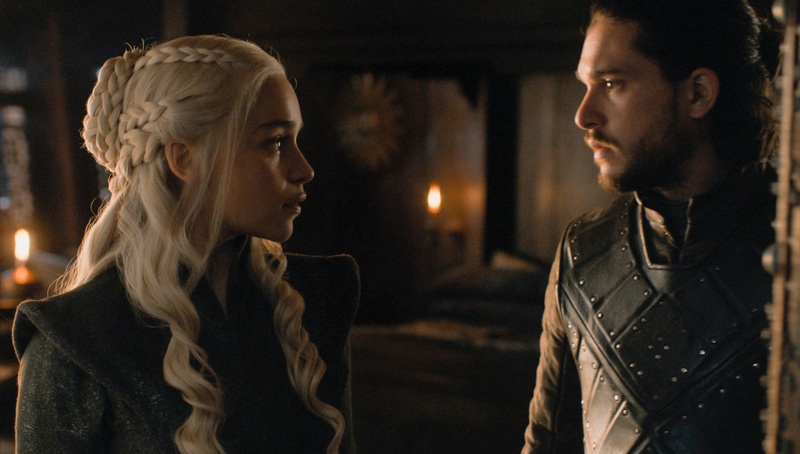 Tyrion Lannister tried once again to convince his sister to put aside her enmities and unite with Daenerys against the army of the dead, but his pleas fell on deaf ears. Although she promised a military alliance with the dragon queen, Cersei instead brokered a backroom deal: with Euron's help and the financial backing of the Iron Bank, she hired the Golden Company, the most powerful mercenary army in Essos, to destroy all of her enemies at once and solidify Lannister rule over Westeros. For Jaime Lannister, who has stood by his sister all their lives, this is the last straw; disgusted at Cersei's willingness to allow the realm to perish if it means that she can retain her crown, he abandoned her and is now heading north to honor the pledge he made to fight against the enemy facing them all.